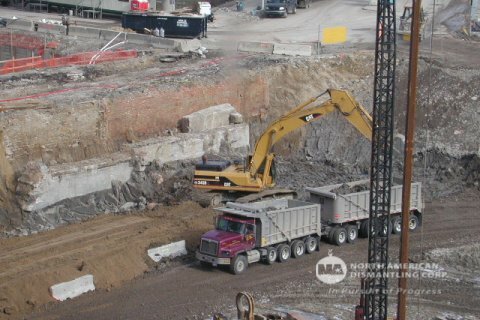 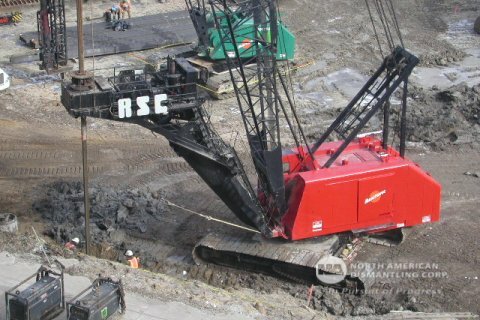 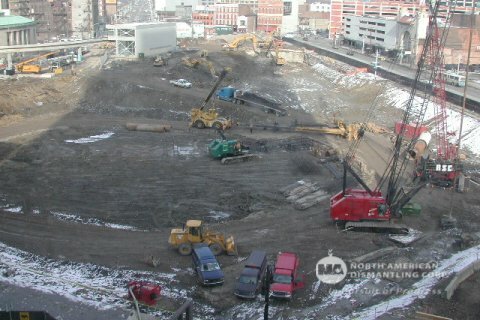 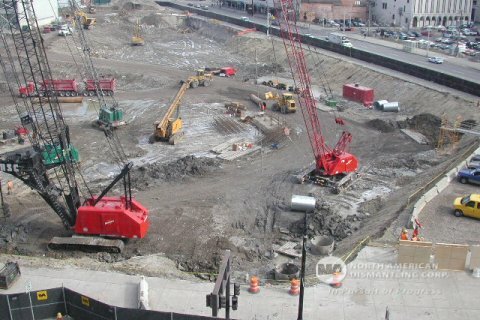 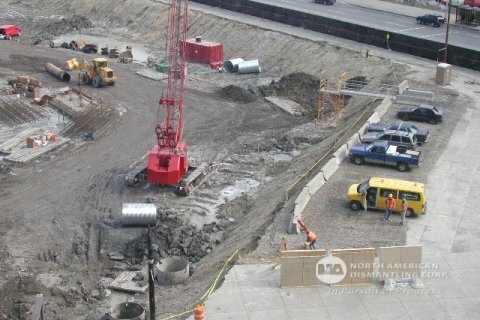 Compuware Headquarters Site Clearing | North American Dismantling Corp.
Additionally, NADC provided 24,000 tons of aggregate backfill over 40,000 square feet of geotextile fabric. 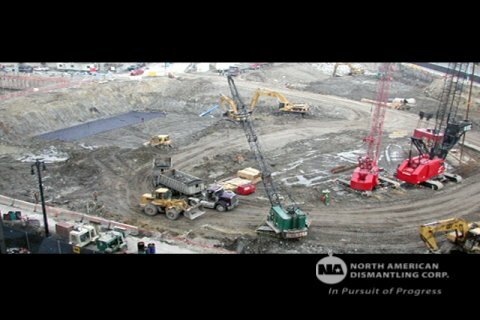 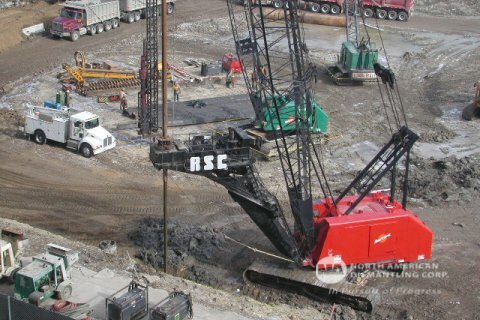 NADC also built and maintained temporary site access roads, access ramps, lay down areas and parking areas including periodic grading, as well as the removal of all caisson spoils and ramps. 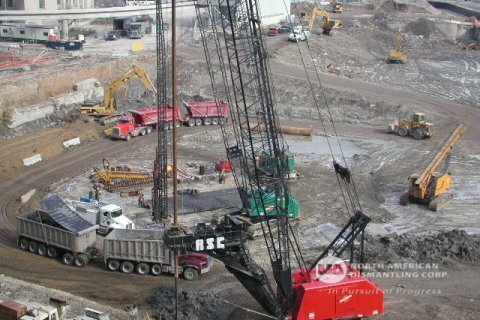 This project was completed on schedule, with limited change orders and without interference with the simultaneous steel work and ongoing building construction. 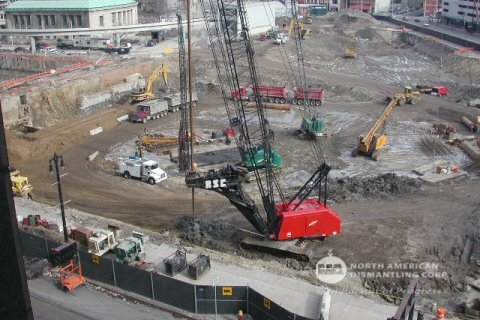 on your site celaring and excavation project.